What’s your favorite place in the world? On occasion, I’ve been asked this extremely difficult question, and my answer often surprises people. I love to travel and I am fortunate enough to have been all over the U.S. and the world (albeit, mostly Europe). I could give you the cliche answers of Paris, Rome, or London. I had an amazing time in all of those places, and I think I could return to Paris every year and have it never get old. 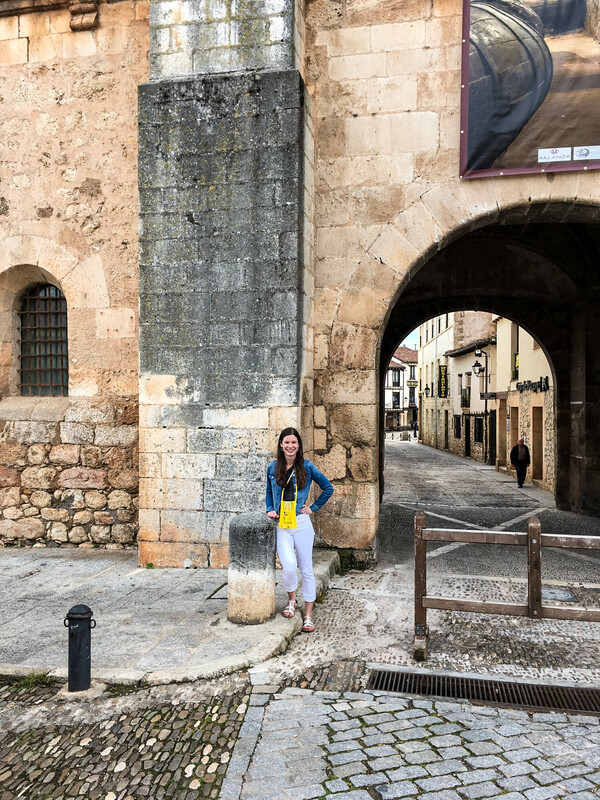 But when I think about my favorite places in the world, they are never the popular tourist cities, but the tiny towns along the way, and the cities that most people skip right over. 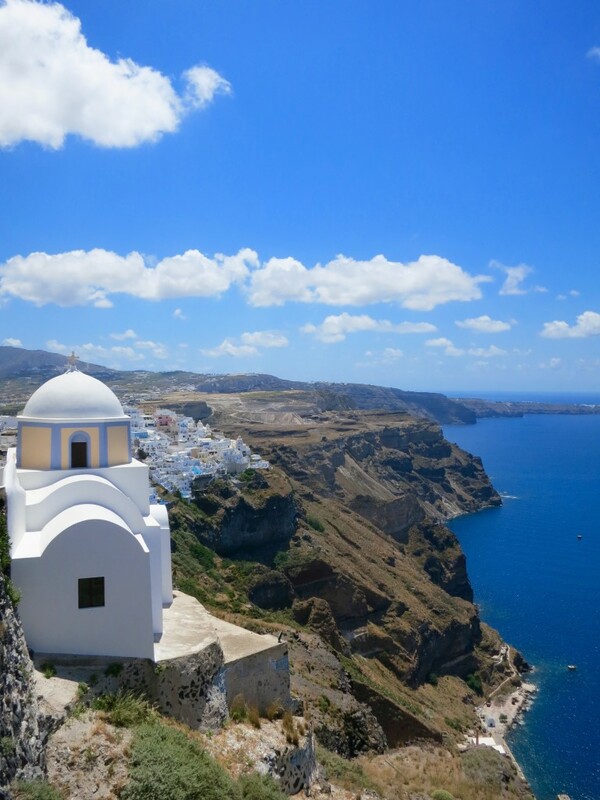 Most people have heard of the famous Greek sunsets on the island of Santorini in Oia, but have you heard of Imerovigli? To answer my question, Imerovigli is my favorite place in the world. 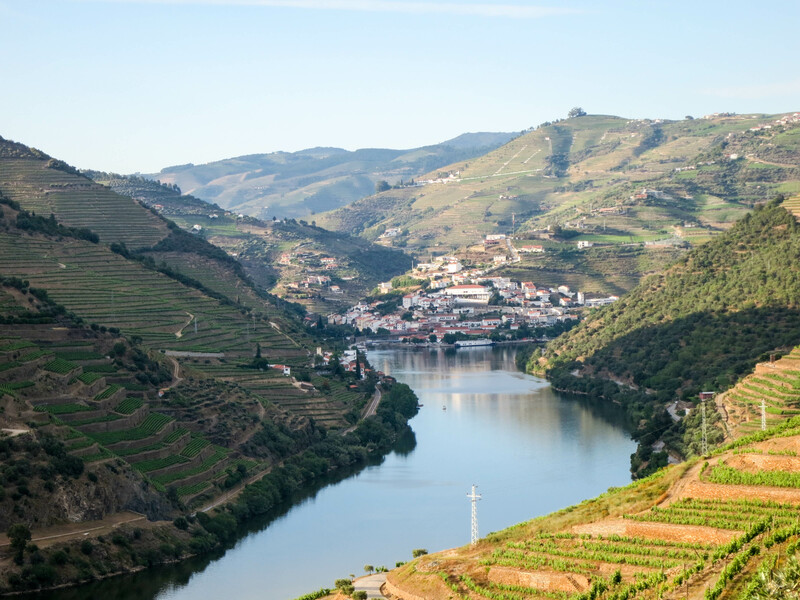 If you’re lucky, Lisbon might be on your European bucket list, but what about the gorgeous vineyards surrounding the tiny town of Pinhao, Portugal? 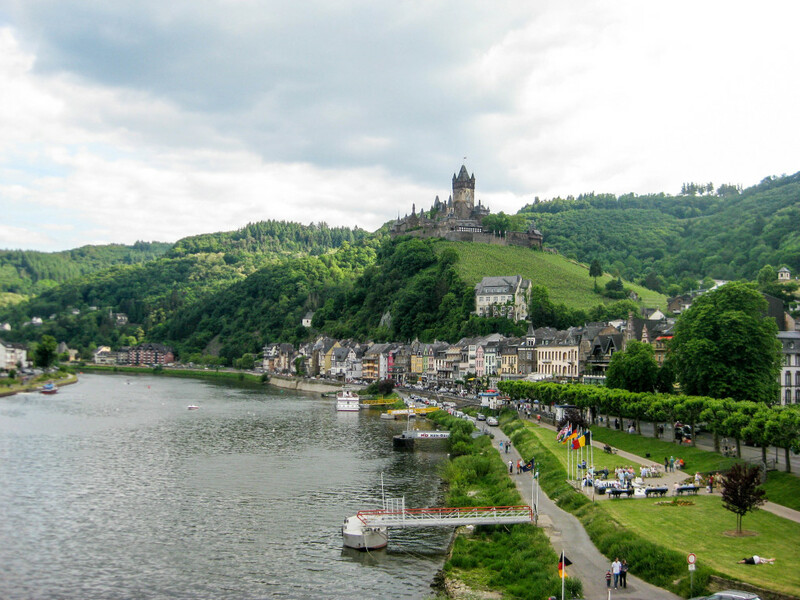 And I bet you’ve never heard of the beautiful town of Cochem, Germany – complete with a river, castle, and vineyards everywhere you turn. 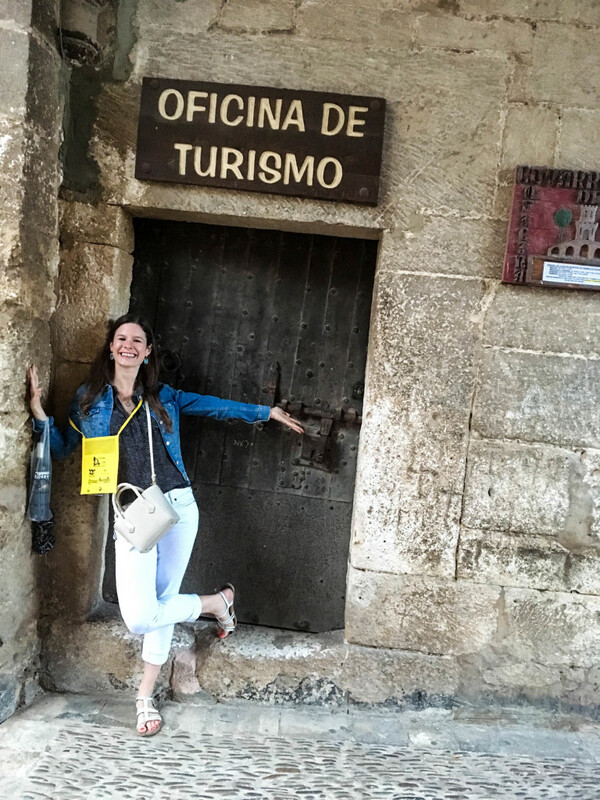 While I’ll do more extensive posts on my recent trip to Spain detailing the breathtaking Rioja wine region and foodie capitol of the world San Sebastian, I wanted to highlight a tiny town that we happened upon and became one of my favorite memories from the trip. 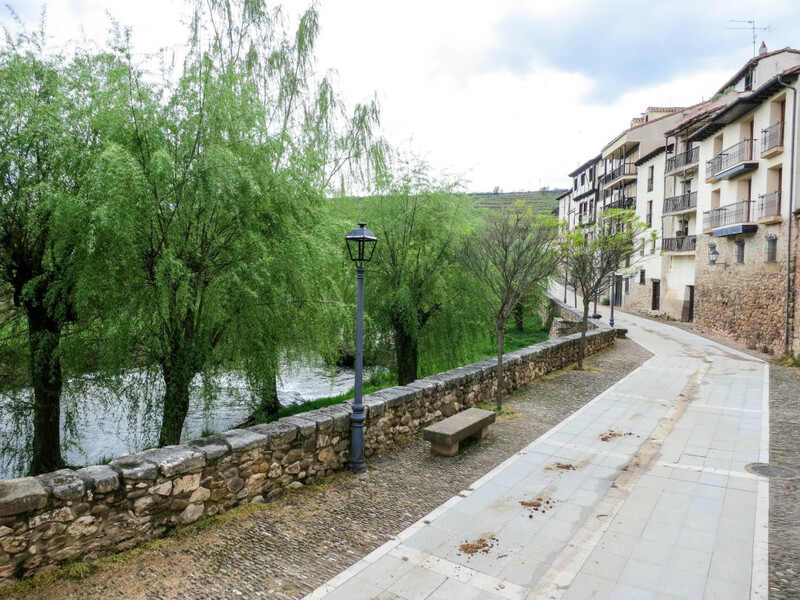 Imagine a tiny walled medieval town set on a quaint river where wine flows like water, and there are no cars in sight. Also imagine a place where there are no other tourists and no one speaks English. If you’re lucky, you’ll remember the years and years of Spanish you took and get lots of good practice! 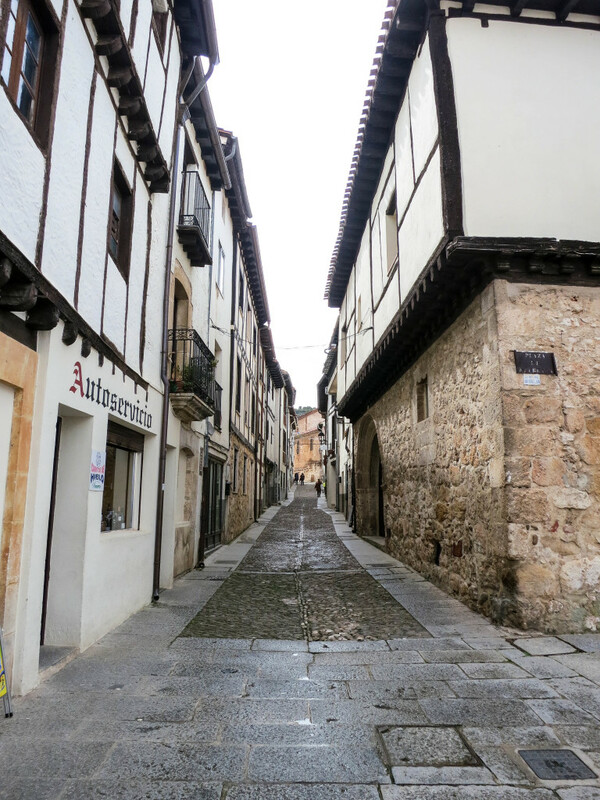 We happened upon the town of Covarrubias when I tried to schedule a tour and tasting at a nearby winery that was on our way from Madrid to Burgos, where we were staying for one night on our way to the Rioja wine region. When I contacted the winery, they informed me they would be closed that day because they would be at a wine festival a few miles down the road. After at least an hour or so of google searching, I finally found some information confirming that the wine festival was happening, but that’s about all I could find. 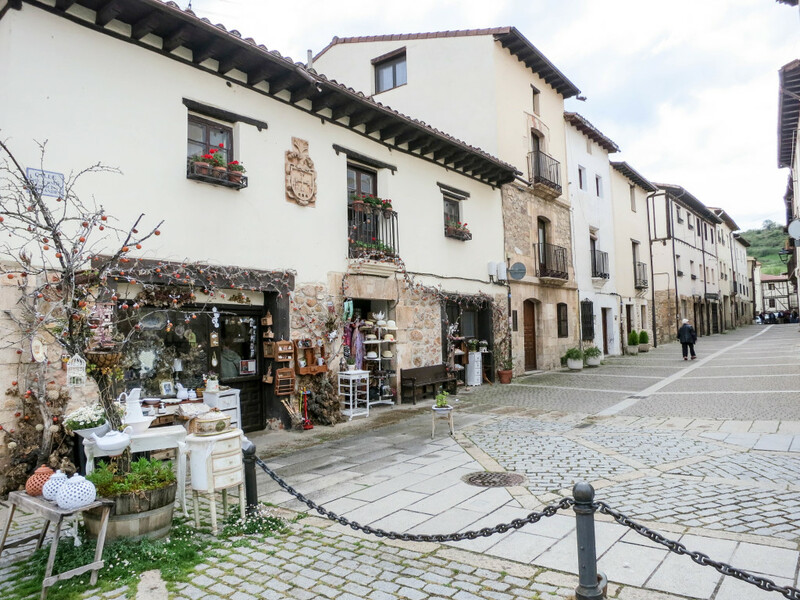 We took a gamble driving from Madrid to visit this tiny town, and it was one of the best decisions of the trip! 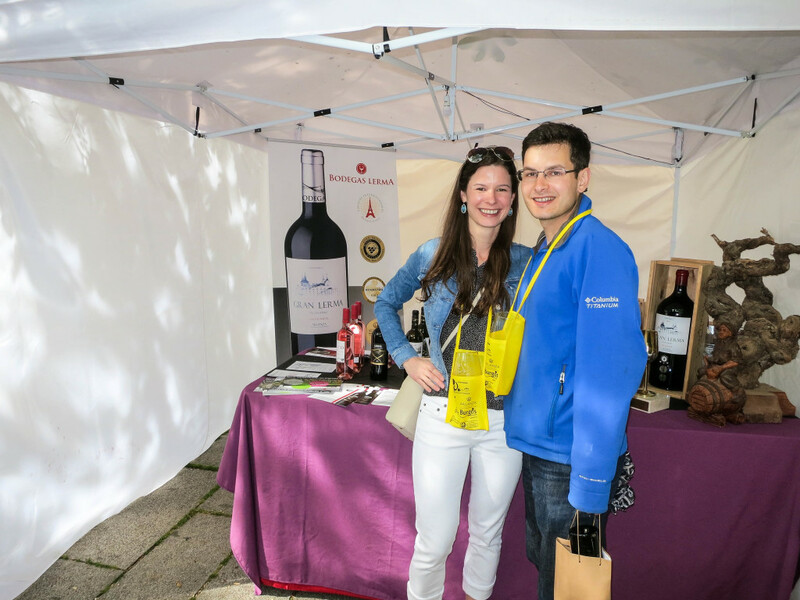 Had we come to the town any other day, I imagine we would have found a cute but sleepy little town where we might have had lunch and left, but we arrived to find a lively wine festival with about 20 wineries pouring you glasses (aka tastings) upon glasses of wine. There was technically a fee of $5 for the festival (which included a wine glass and wine glass necklace in which to put your wine! 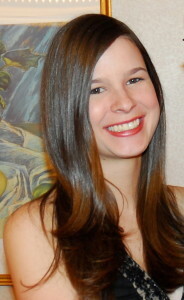 ), but none of the wineries seemed to care if you had tickets or not. So what was supposed to be a quick (and likely failed) stop to this town in the middle of nowhere Spain turned into an entire afternoon and evening of drinking good local wine, conversing in Spanish and becoming friends with all the winery owners, and all in all having one of the most fun experiences of our whole trip. 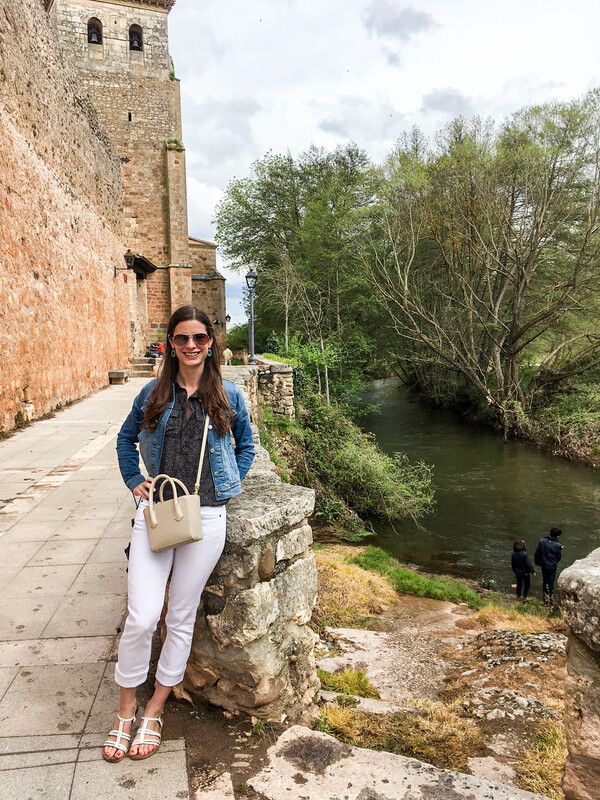 The travel lesson here is don’t be afraid to take a gamble and go off the beaten path (and your perfectly planned itinerary). Whether it’s boom or a bust, you’ll probably make some memories that you won’t regret! And if you happen to be in Spain on a Saturday in early May, make sure to add Covarrubias to your itinerary! 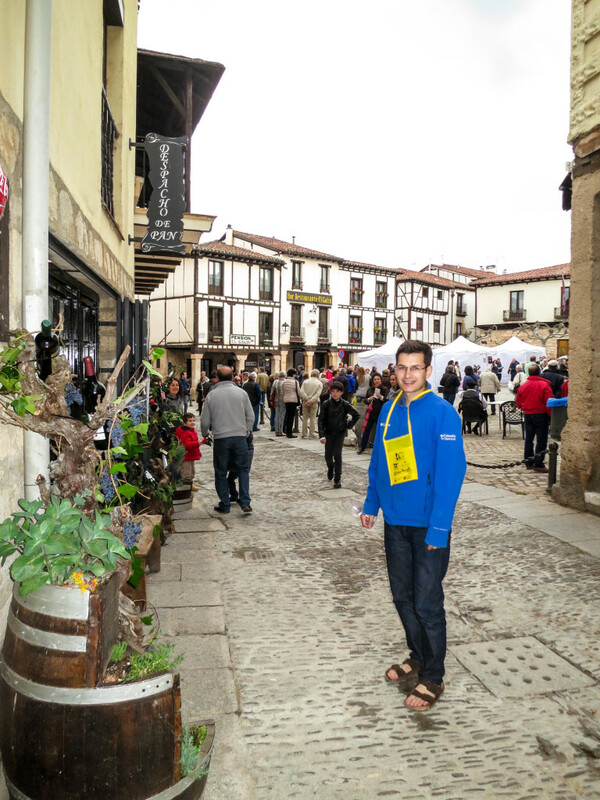 This entry was posted in Travel, Wine and tagged Covarrubias, Spain, travel, vineyard, wine. Bookmark the permalink.